Realism in SL pictures involve at least two elements: realistically built subjects and the reproduction of real camera features. If we are photographing human avatars, some good skin, well made hair and true-to-life accessories or add-ons (glasses, clothes, body hair, jewelry, eyelashes, etc.) contribute to the achievement of realistic pictures in the platform. WindLight settings may also help create a realistic environment – and I’ve discussed the theme a bit on another post, but here I would suggest a different approach: if we are taking a picture of a certain landscape, we should, of course, consider the whole effect of the WindLight settings that we choose. 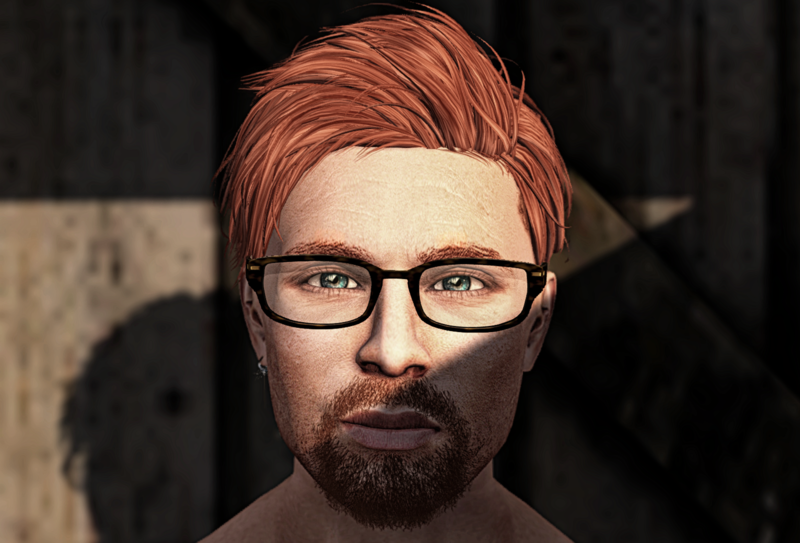 Nonetheless, if we’re focusing on an avatar, and particularly if we’re interested in a shorter area, such as in close-ups, we can, in most cases, forget about how the light affects the whole sim we are in. What really matters is how it reinforces or not the realistic qualities of the avatar’s skin. I would still encourage people to try different presets and to use sliders such as the East Angle one in order to decide which settings fit better their intentions and each particular picture, but, if realism is their goal, I’d say: observe how skin is affected. There is no single right preset for that: skins will certainly look different if they are under the sun light or under a neon light and that variation can be reproduced in SL. The goal here is to do it in a realistic way. That’s why trying a variety of presets is important. On the camera side, the idea is to reproduce the conditions that would mark a photo taken by a real device, and one of the most powerful tools that Second Life offers for that is the DoF effect, which I’ve also talked about on a previous post. It’s interesting to notice that, in a busier scene, making each and every element look more realistic is particularly difficult. The DoF effect, then, contributes to driving one’s attention to a specific component of the whole picture, simplifying our task in a number of cases. WindLight settings defined, DoF activated and photo taken in SL, it’s now time for post-production. Let’s keep in mind that we should pay attention to two elements: subject and camera. As for the subject, it’s useful to notice a possible contradiction with certain atomic world pictures. In the atomic world, it’s not uncommon to see people reducing details on skins during post-production, in order to conceal wrinkles and some potential flaws that they may see. These pictures already look realistic, though, and getting rid of some details is acceptable. Still, if you exaggerate, skin may look perfectly smooth and the image may lose in terms of realism. With SL pictures, it’s quite the opposite. In many cases, in order to reach a higher level of realism, one would want to highlight wrinkles, pores and other details on avatar skins. It’s a movement in the other direction: you compensate some deficit of realism by adding imperfection to your image. I would risk to say realism requires some level of imperfection for credibility reasons and, if you are departing from a lower point in the realism scale, you’d probably want to check if your subject doesn’t look too perfect. 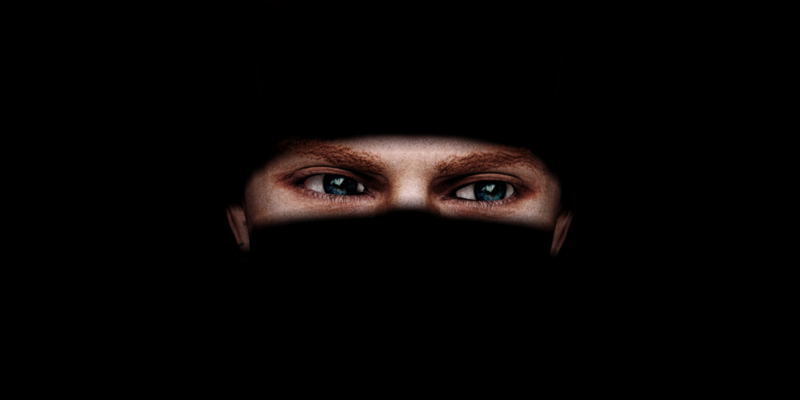 With The Gimp, that imperfection of avatar skins can be highlighted by means of enhancing local contrast. One of the methods for manually achieving that effect can probably be reproduced on Photoshop and other image editors. It consists of duplicating the base layer and applying some Gaussian blur to the upper one. The amount of blur will depend on the extension desired for the effect. The trade-off is: the more noticeable is the effect, the further it affects light. Once the new layer is blurred, it is set to grain extract. Then one creates a new layer from visible, sets it to overlay and hides the blurred layer. There are other ways to enhance local contrast on The Gimp. One of them is to apply a filter called… Local Contrast Enhancement, from a plug-in called FX-Foundry (the filter is under Photos, Enhancement on the FX-Foundry menu). My preferred method is, though, to use the G’MIC plug-in – particularly the filters under the Details option. The plug-in offers a preview window, useful for choosing which particular filter is better for each image. On the side of reproducing real camera conditions, besides depth of field, we can also consider noise. For that matter, my preferred effect is film grain. It is a characteristic of traditional photographic films which is not completely equivalent to today’s digital noise, but it looks as if it were there even in digital cameras, when we choose to photograph with a higher ISO (which is a measure of the sensitivity of the camera’s picture-registering system to light). It seems to me that film grain adds to the feeling of imperfection and even mixes with the avatar’s skin pores. And since it’s linked to analogical films, it may also add some vintage atmosphere to the picture. Color is something else to take into account when we’re trying to make SL photos look more realistic. On this topic, I came to opposite conclusions with my observations and considerations – conclusions that may not be shared by everyone, I know it – and I think that conciliating them actually improves the realism effect. On the one hand, enhancing colors increases color contrast, which may help to highlight some details on the photo (though one has to check it case by case, for sometimes it doesn’t make a big difference anyway). On the other hand, diminishing saturation may contribute to reducing the cartoonish feeling that sometimes SL pictures carry with them. What I generally do with any of my pictures is to work first on its color levels or color curves. My main goal at this point is to work with light. On The Gimp, I duplicate the original layer, set the new layer to overlay and then click on Colors, Curves and start working on contrast. Nonetheless, this process also affects color, and that’s why, after deciding how contrast will be, I click on Colors again and then on Hue-Saturation. On the Hue-Saturation display, I reduce saturation. How much? As it suits my taste. Sometimes, a second-level color and contrast adjustment makes images look even better. Again, it’s a matter of trying and checking the result. The process is simple: create a new layer from visible (V1) and duplicate it (V2). Desaturate the duplicated layer (V2) by clicking on Colors, Desaturate and choosing Luminosity as the base for the shades of gray. It is important to choose Luminosity there. Then apply some Gaussian blur (setting amount to 15, 20 or 30), set layer opacity to around 35 and merge down. V2 will then merge with V1. Then you can set V1’s mode to Grain merge and add a layer mask to it, choosing Grayscale copy of layer as your masking set. Now, play with layer opacity and set it to the value that makes you happier about the result. Create a new layer from visible (V3) and desaturate it. Set its mode to Color and reduce its opacity. I generally prefer values between 10 and 30 there. For me, this method seems to add in terms of details and general contrast, helping me, at the same time, control color contrast and the possible cartoonish appearance of the image. Of course, you can choose to go for a black and white picture. If so, you can do that by setting the opacity of the upper layer (V3) to 100. This is just a suggestion, for there are many other methods of producing a B&W image on The Gimp. Nonetheless, by using that layer blending mode, you can also try to set V3’s mode to Saturation. Sometimes the effect is interesting. There’s no single right order to combine the tricks and filters for adding realism to the subject and the simulated camera, on the one hand, with those for playing with color and contrast. But the order does matter. I mean, depending on which step you take first, the final result may be different. I myself generally adjust color levels first and then work on skin details and local contrast. Final color adjustment with a desaturated layer goes more towards the end and, if I want to add film noise to my picture, it’s normally the latest filter that I apply. But I don’t follow this as a recipe that cannot be changed. 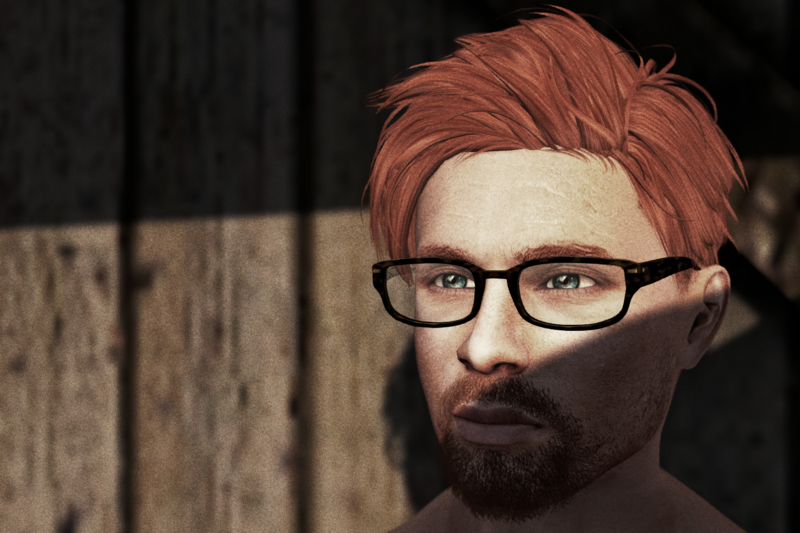 My observations on light here are not necessarily related to the search for realism in SL pictures. They come from my attempts to check if I could limit light to certain parts of an avatar in Second Life even before the post-production interventions. I actually could do it by playing with light sources in SL. The procedure is the one to create projectors. A very simple tutorial for that can be found on this video published by Holger Gilruth on YouTube. To read further about projected light, one can consult this article on the SL’s Community Knowledge Base. It is worth noticing that the shape of your prim defines the form of your projected light. So, in order to throw light on a particular part of an avatar in SL, create a projector and define its shape. Choose a WindLight preset that will turn everything into black – or do it yourself by playing with WindLight settings. Direct the projected light to the part of the avatar that you’d like to make visible and that’s it. Of course, for it to work, you’ll need to have Light and Shadows enabled on the Graphics tab of your preferences. Also, shadows should be set to Sun / Moon + Projectors. In the process of creating your projector, I’d recommend you to play with the values of every possible factor that can affect your final result: Intensity, Radius, Falloff, FOV, Focus and Ambiance. All the procedures described here can be combined in order to produce a more realistic SL picture that plays with projected light. Furthermore, they can be used with other the effects and filters of your preference. Maybe people know other techniques to achieve an even more realistic result, maybe someone out there will share them with us and we can compare them and mix them… meanwhile, I hope this post becomes useful for someone. 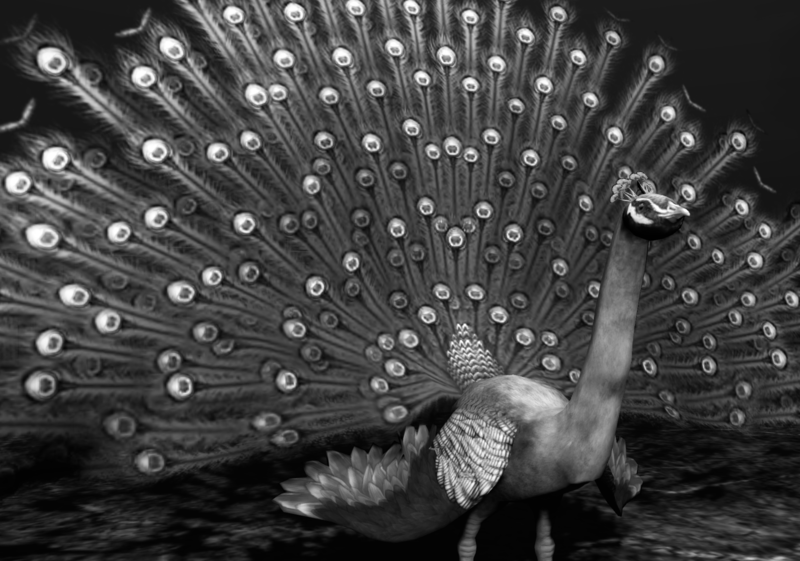 The Photo Game turned into an exhibition in SL: how many words is an image worth? ← Will we ever be modern (or contemporary) again? An extremely interesting post ……….. it comprehensively covers almost every facet of taking ‘realistic’ pictures that I know of, and it also provides a window onto a very talented photographer’s work-flow. Thank you, Boudicca. I don’t know about being a very talented photographer (but being qualified as such by one of the greatest SL photographers that I’ve ever seen is an honor), but I wrote this post because I’ve been missing more tutorials and discussions on techniques for photography in SL. Still, I’d say that there’s an interesting material on https://www.scoop.it/t/culture-and-fun-second-life-photography, curated by Annie Brightstar, and I particularly like this video, that I’ve found there. Great tutorial to give realism to your photos using light settings.